Take-home whitening tray available here online or at any of our teeth whitening clinics. Use for only one hour a day for 7 – 10 days. No messy overnight whitening with visibly whiter teeth within five days. Gentle non peroxide formula minimizes risk of sensitivity or irritation to the gums. Also included with this kit is Silicone upper and lower Mouth Tray, easy and convenient to use with full instructions. 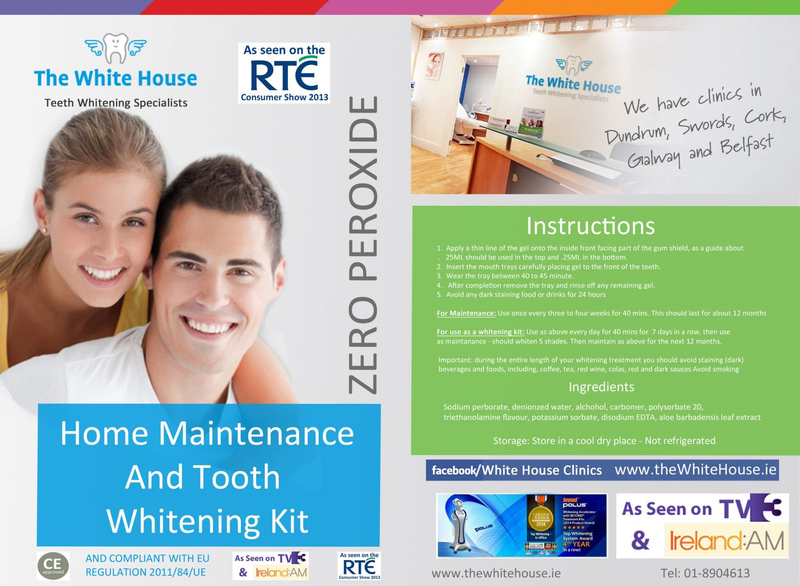 This kit can also be used as a maintenance kit if you have already had your teeth whitened recently use this once every three weeks for 40 minutes to maintain the results for up to 18 months!